In a sense, Mario is the jack of all trades, and the master of none – surprisingly, this trait serves him well. Mario’s arsenal isn’t as immediately threatening as Bowser’s or Lucina’s, but he still has a large amount of useful tools at his disposal. His tilts are fast and can be chained together, and his smash attacks are quite strong: particularly, forward smash has an especially powerful sweetspot at the tip of its flame. With enough Attack investment, it can even break shields! 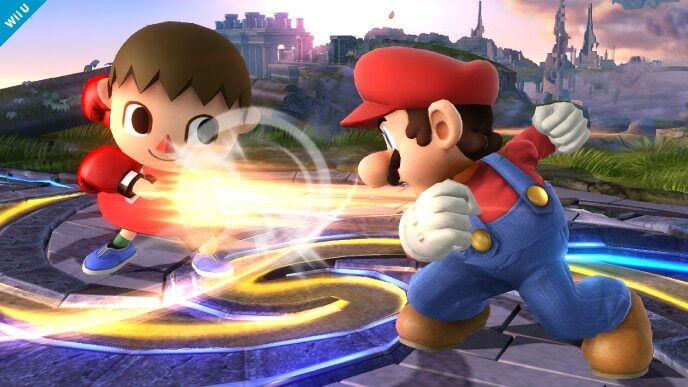 Two of Mario’s special moves possess excellent utility: Fireball, which he can use to harass enemies off-stage; and Cape, which allows him to gimp foes by reversing their momentum. With a moveset that perfectly blends speed and power, Mario can handily perform well in any situation and even excel against the right opponent. Unfortunately, being average has its drawbacks. 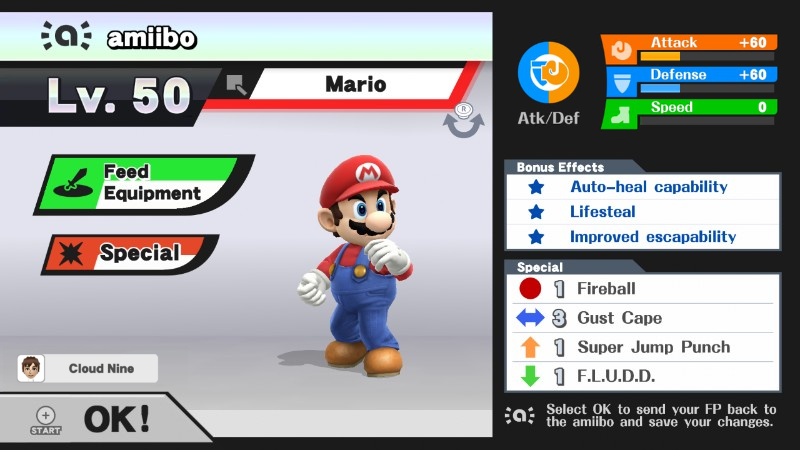 Mario’s moveset lacks range, which leads to his attacks occasionally whiffing their target. Ironically, Mario also suffers from a poor recovery: his double jump grants acceptable height, but his up special, Super Jump Punch, does not. Mario’s most notable disadvantage, however, is his notoriously flawed AI. It tends to ruthlessly overuse its down smash and side special, both of which are difficult to consistently avoid and punish. 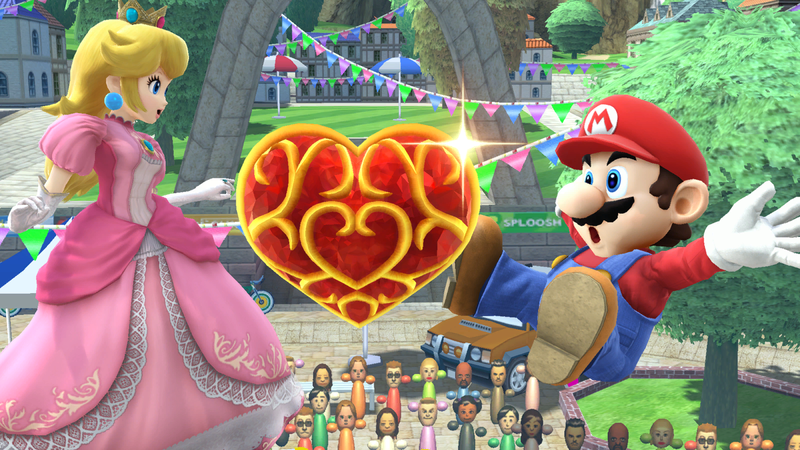 Due to these quirks, many trainers cast Mario aside in favor of a more cooperative character. Training a champion Mario amiibo is a tough task. You’ll need time, skill, and most of all, patience. From what we’ve seen of Mario amiibo in tournaments, they run hot and cold: their effectiveness depends entirely on the skill and ability of the trainer. Gust Cape: This is a custom move version of Mario’s side special. It adds a powerful windbox that pushes opponents away. As mentioned before, Mario’s AI has a notorious reputation of using its Cape out of a short hop: Gust Cape partially fixes this issue by creating a gap so that enemies cannot run in and attack. Scalding F.L.U.D.D. : This is a custom move version of Mario’s down special, and it’s entirely optional. Rather than pushing enemies away, Scalding F.L.U.D.D. inflicts direct damage. You shouldn’t be teaching your Mario amiibo to use F.L.U.D.D., but if yours decides to try it anyway, this custom move is more effective than the default version. Neutral options: jab and forward tilt. 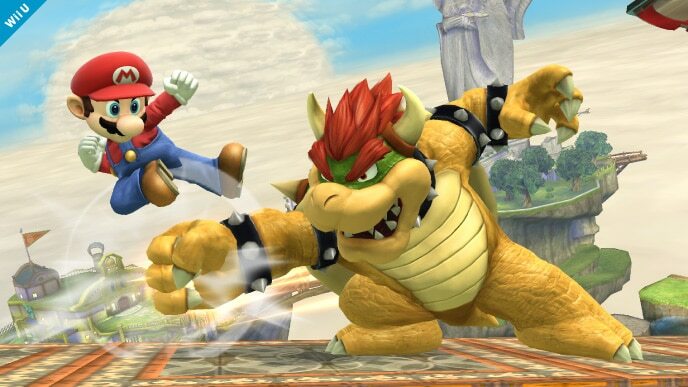 In terms of racking up damage, Mario’s jab and forward tilt are his fastest options. Jab should be used at close range, and forward tilt should be used just a bit farther away. It can also be angled upward to catch aerial opponents. Main KO moves: forward smash and up smash. Mario’s smash attacks are moderately fast and powerful, and can KO enemies at realistic percentages. When using forward smash, try to hit your amiibo with the tip of the flame to inflict extra damage. Up smash is best used as an aerial punish. Moves to avoid: down smash, side special, and down special. As covered earlier, Mario’s AI tends to spam its down smash and side special attacks nonstop. Once it starts overusing them, it’s incredibly difficult to get it to stop. To avoid this problem, do not use down smash or side special at all. As for F.L.U.D.D. and its custom move versions, don’t bother trying to teach your amiibo to use them: they bring no notable benefits to Mario’s play. Situational moves: Fireball. When your amiibo is trying to recover, shoot several consecutive Fireballs at it in an attempt to halt its recovery. This maneuver is especially effective against Ness and Lucas. Utilize back throw as a secondary KO move. Mario’s back throw is incredibly powerful, and is capable of KOing the heaviest characters at about 150%. It’s most effective at the edge of a stage, so use it decisively. Thanks to Arklaine for compiling Mario’s information. Images are courtesy of SmashWiki and the official Super Smash Bros. website. how you can put the equipement: attack 50 defence 50 and speed 20?